A mainly sunny sky. High 71F. Winds NNE at 10 to 15 mph..
A mostly clear sky. Low 41F. Winds N at 5 to 10 mph. 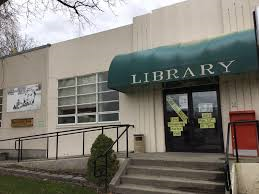 OKANOGAN – Several spring break activities are planned this week at the Okanogan Public Library, 228 W. Pine St. The first event, with Knights of Veritas, is tomorrow, April 2, at 2 p.m.
Thursday brings Lego challenge builds at 1 p.m.
Friday’s program, at 10 a.m., is “Explore VR – Take a Virtual Reality Tour.” It’s geared toward children ages 12 and older; participation is limited to 10. A family Keva/Lego build day program is at 11:30 a.m. Saturday.